Dry Paint Signs: You Can't Pause the Rock! What do you do when you need to play Rock Band in a film, but need to avoid making too much noise? 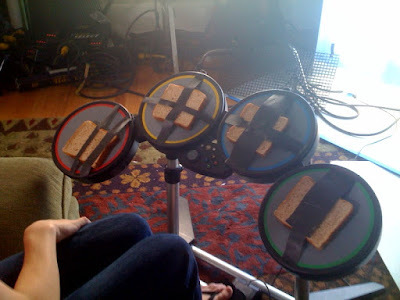 Why, tape bread to the drum kit of course.